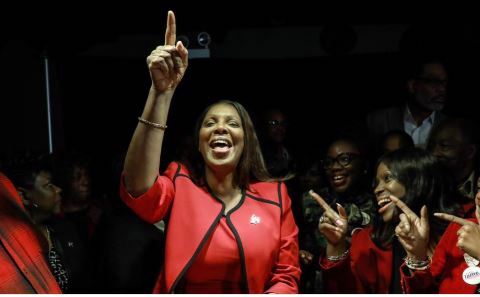 The Brooklyn native won the election over Republican nominee Keith H. Wofford on Tuesday, after winning a competitive Democratic primary back in September. Former New York Attorney General Eric Schneiderman resigned from office earlier this year amid allegations he physically abused four women. Attorney General Barbara Underwood was subsequently appointed, becoming the first woman to hold the position in New York. Underwood, who was not a candidate in the election, congratulated James on Twitter. “Congratulations to Tish James, New York’s next Attorney General!” the tweet said. During her victory speech in Brooklyn on Tuesday, James said of President Donald Trump that she will be “shining a bright light into every dark corner of his real estate dealings, and every dealing,” according to The New York Times.